The mountains in the distance across the city are quite a sight. 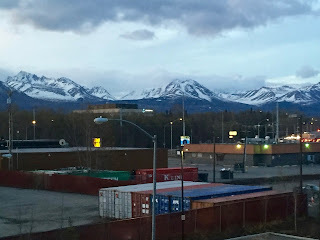 It is not one of those awe-inspiring vista views that I have seen in other places, but the view outside my hotel window had some beautiful qualities. 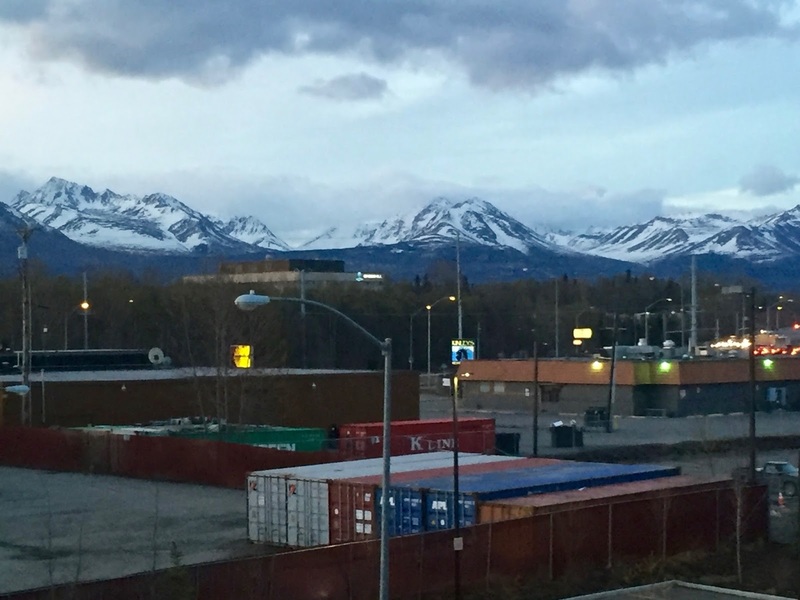 The trucking company parking lots in the foreground certainly are detractors from the view. The view here is stunning, however. Almost everywhere I look there is either the water of Cook Sound or the mountains behind , north and south of the city. On a clear day, Denali can be seen, although I could not see it yesterday I was able to see it during some of my previous trips. I do enjoy the view out of my hotel window.